With 8,000 projects in developing countries, the Kyoto Protocol’s Clean Development Mechanism (CDM) is still clinging to life. But the Paris agreement might spell the end for the ineffective system. EURACTIV France reports. The climate negotiations triggered by the Paris agreement will be accompanied by a spring cleaning of the UN’s climate action programmes. Starting with the offshoots of the Kyoto Protocol. The agreement signed in Japan in 1997 set a number of complex emissions reduction mechanisms in motion. Both states and businesses could finance CO2 emissions reduction projects in the global South (or the Non-Annex 1 countries). This idea took hold, and since 2005, 1.6 billion credits have been emitted for 7,900 projects in 107 countries, at a cost of almost €100 billion. These projects have helped to avoid the emission of 1.6 billion tonnes of CO2, a modest amount compared to the 10 billion tonnes of CO2 emitted by China every year. The Paris agreement should kill off this dying system, which has staggered on since the end of the Kyoto Protocol in 2012. “With the end of the separation of countries into Annex 1 and Annex 2, the CDM will de facto cease to exist,” said Antoine Guillou, the energy and climate coordinator at Terra Nova. Benoit Leguet, the Head of the Institute for Climate Economics (I4CE) agrees. “There is really not much to keep, just the methodology, whose implementation was long and complicated,” he said. Errors in the basic approach of the mechanism were behind its failure. Beneficiaries of the CDM included industrial gas producers (nitrous oxide, refrigeration gases) and dam construction projects. The vast majority of CDM credits were absorbed by these sectors. “To the point where certain industrial gas production projects were conceived solely to collect credits,” Guillou said. 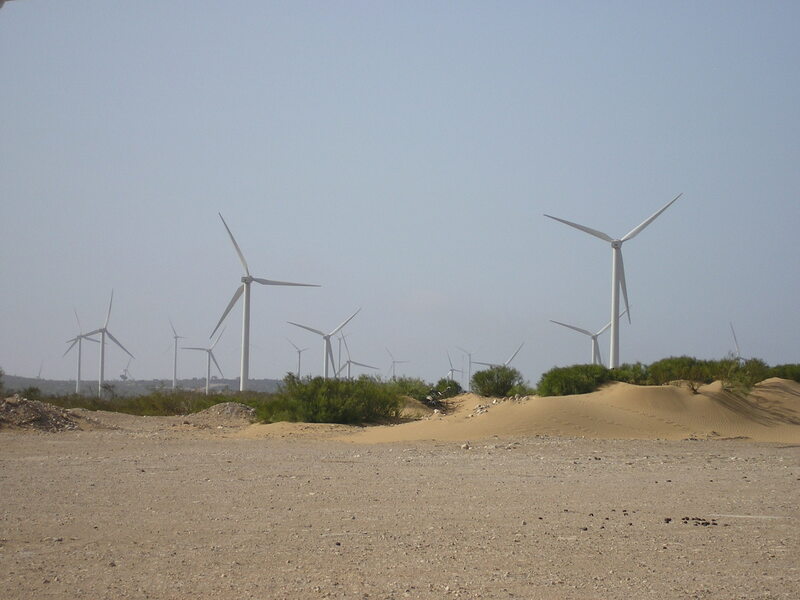 A small number of renewable energy projects did take off thanks to the CDM credits, like investment in wind turbines in Essaouira, in Morocco, solar powered ovens in Africa and the production of methane in Nepal. But as with the equivalent Joint Implementation programme, dedicated to the former USSR, repeated scandals have discredited the mechanism. The reputational damage was so great that sales of credits declined. The European Union first restricted, and then closed down its carbon market, its main outlet for the CDM. As a result, the price of emissions credits has collapsed from $22 per tonne in 2011 to just a few cents today. Due to a lack of demand, many projects have simply been stopped. But like a headless chicken, the mechanics of the CDM administration keep on moving. Its executive council will meet on 23 and 27 November in Paris, at the Unesco headquarters… to prepare for the COP 21. Some optimists have tried to revive the Clean Development Mechanism by increasing demand for credits. With this in mind, the UNFCCC created a platform on its website for users to cancel their credits directly. But even this failed, as very few participants made the effort to sign up. The UNFCCC has also admitted that it has often lost the details of CDM project coordinators. To generate demand, the organisation has considered recycling initiatives from some previously excluded sectors. It has approached the aviation sector, which has committed to reducing its CO2 emissions from 2020, the marine transport sector, whose emissions are still unconstrained, and the Green Climate Fund. So far without success. The Green Climate Fund, which has recently launched its first eight projects, appears to be keeping its distance. Despite its small size, it currently enjoys greater credibility thanks to the commitment from the global North to provide $100 billion per year to help fight climate change in developing countries. Part of this money will be managed by the fund. Although Copenhagen, Denmark, did not result in the adoption of a new agreement, COP15/CMP5 recognised the common objective of keeping the increase in global temperature below 2°C. Furthermore, industrialised countries undertook to raise $100 billion per year by 2020 to assist developing countries in climate-change adaptation and mitigation. Cancún, Mexico, in 2010 made the 2°C target more tangible by establishing dedicated institutions on key points, such as the Green Climate Fund. In the interval until a legally binding multilateral agreement is implemented in 2020, the Doha Conference (Qatar) in 2012 established a second commitment period of the Kyoto Protocol (2013-2020), which was ratified by a number of industrialised countries, and terminated the Bali track.